Anyone who has ever been diagnosed with breast cancer or any other major health issue knows the strange feelings of being both part of and apart from the diagnosis. On one hand, it feels so uniquely personal and individual, an attack on self. And on the other, there is the feeling of suddenly being reduced to a statistic. Numbers can never tell the whole story of public health, but they are an essential piece of the picture. Last week the American Cancer Society (ACS) came out with updated breast cancer statistics, pointing both to a significant drop in death rates and deep racial inequities in death rates. What do these numbers tell us about the experiences of women diagnosed with and dying from breast cancer? Not as much as we might think at first glance. The ACS reports that between 1989 to 2015 breast cancer death rates dropped by 39 percent—which sounds like incredible news! And it has a lot of people thinking we might be on the cusp of winning the 40+ year “war” on cancer. But, the truth is not as rosey as the headlines suggest. And even if the progress isn’t as impressive as it first sounds, the report makes clear that not all women are benefiting equally. Although a reduction in death rates was documented for all racial/ethnic groups, women of color and Black women in particular continue to experience higher breast cancer death rates than white women. Black women are more likely to die from their breast cancer in every state, but the disparity varied dramatically by state. This geographic variance shows that it is not some inherent biology that leads women of color to have more deadly breast cancers, but these disparities are the result of social and structural factors, including access to care and discrimination. 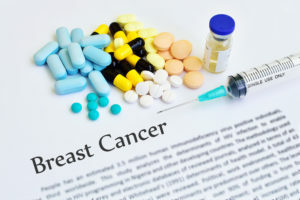 While there is no question that the introduction of Herceptin as “standard of care” for aggressive Her2+ breast cancers has had an impact on mortality rates, the role of screening is more dubious. Routine screening for average risk women without symptoms does not change all-cause mortality. That means, there is no difference in the overall death rates (not just breast cancer-specific deaths), whether or not women participate in mammography screening. How then can we understand the nearly 40 percent reduction in the breast cancer death rate in less than 30 years? The breast cancer doctors and researchers I’ve reached out to about this new report agree that the ACS data doesn’t tell the whole story. There is a growing recognition that mammography screening results in high rates of overdiagnosis and overtreatment. Even with the endless “debate” about screening and disagreements about how to approach and slice and dice the data, the National Cancer Institute concludes that well conducted studies find “at least 20 percent of screen-detected breast cancers are overdiagnosed.” This means that tens of thousands of women are being diagnosed with and treated for a breast cancer that is not and never would become life threatening. By including these overdiagnosed and overtreated breast cancers as a result of screening makes it appear that fewer women die from breast cancer. Here is what we do know. Too many women are diagnosed. Too many women die. And women of color fare worse than white women. Whatever the precise gains, we have a long way to go. The ACS reports that, “approximately 252,710 new cases of invasive breast cancer and 63,410 cases of in situ breast carcinoma are expected to be diagnosed among US women in 2017.” Surely we deserve more for all the awareness, the focus on screening, and the billions spent on research. An earlier version incorrectly referenced how the ACS conducted their 5 year statistical analysis. The ACS data looks at survival data, assessing how death rate compares using 5 year specific age categories and seeing if death rates changed over the time periods.